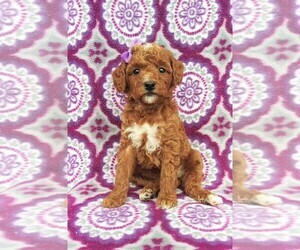 Caramel color Female Goldendoodle (Pictures of all the puppies are shown. 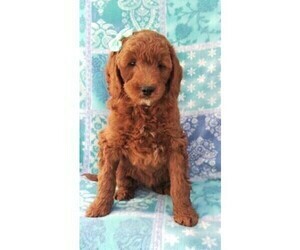 Puppies will be chosen by Feb 1st in the order deposits are received). 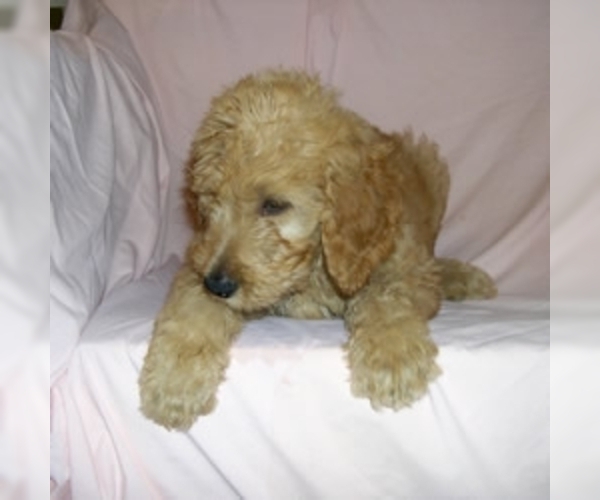 Buddy, F1 Goldendoodle with AKC-registered Golden Retriever and Standard Poodle parents. 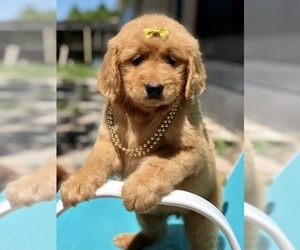 Overview: The Goldendoodle is a mix between the Golden Retriever and the Poodle. 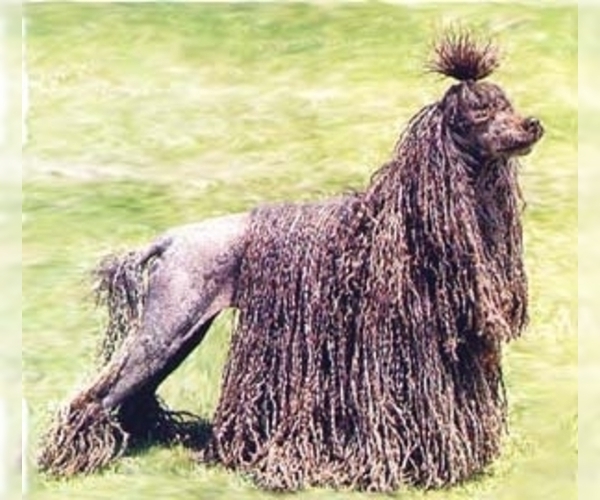 This breed is a good choice for families. 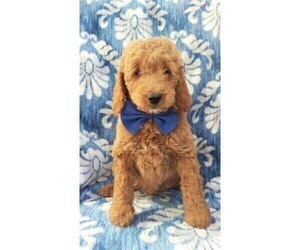 Character: Goldendoodles are affectionate, happy and intelligent. 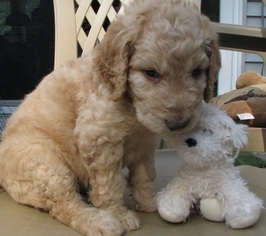 Temperament: Goldendoodles get along well with children and other pets. 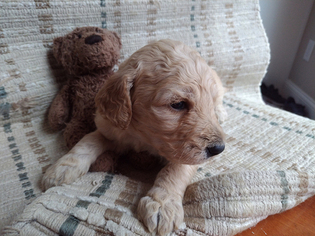 Training: Goldendoodles are intelligent and train easily. 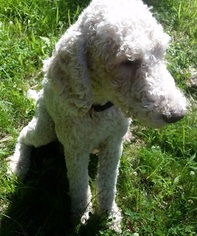 Activity: This breed needs a moderate amount of regular exercise.